It's a rare thing to have your hero and your best friend and your father all rolled up in the same person. 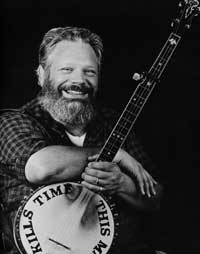 Art Thieme is much more than what's reflected in the perception of a son, but I'll tell you the little I know of this great musician. 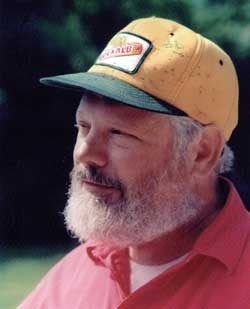 Art Thieme was born to Harriet and Carl Thieme in Chicago, IL on July 9, 1941. He graduated from Lakeview High School and attended college at UIC when they had a satellite campus on Navy Pier. There, he cut class on a regular basis to play guitar in the cafeteria. Nelson Algren bought Art his first beer in a bar on Wells St. Chicago was just that kind of place back then. Art was swept into the budding folk scene that had caught the national attention during the 50's and 60's. Yet when others plugged in and the drummers got all the girls, Art had fallen head over heals with the traditional ballads, stories and songs from the soul and heart of the country. He just kept on picking, which he said is “why it never healed.” While working as a manager at the Old Town School of Folk Music, he met a young girl who had recently moved to Chicago because she liked the city after seeing the Beatles perform there. Carol Bail soon became Carol Thieme, and the two crazy kids toured the country in a VW microbus. They settled into Depoe Bay, Oregon where they tried to keep a little folk art shop going. When that panned out, they traveled a bit more. Somewhere in Canada on the way to Alaska, the bus started to falter. They were hit with a snowstorm and camped out on the side of the road. Legend has it that the two became three. They limped their way back to Chicago and settled into a small basement apartment that flooded every time the sewers backed up. 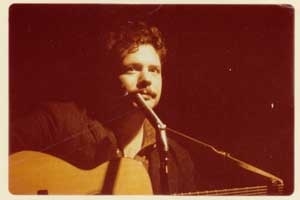 Sometime in 1969, Art came came home and declared his intentions to become a full time, bonafide, professional folk singer. Carol told him she was pregnant. Art took a walk down to Lake Michigan, dangled his feet over the icy water, and decided to not give up that dream. Clubs and coffee houses like The Quiet Knight, The Earl of Old Town, Orphans, Somebody Else's Troubles and The No Exit offered stages to hone his trade. He made the rent with odd jobs. Drove cab. Worked as a forklift driver. A job he quit by driving a load of Mickey Mouse coloring books through the wall of his boss's office and depositing the load on his desk. He met amazing artists, writers and, of course, musicians. Utah Phillips, Fred Holstein, Bob Gibson, Steve Goodman and a pantheon of amazing souls poured into what Art brought to the stage. Art had the ability to make an entire auditorium of people feel like they were all just sitting in his living room. Art combined the stories, songs and some god awful puns into an experience that left listeners smiling and singing on their way home. As he would often say after delivering a well tuned joke, “you can groan now, you'll be telling them tomorrow.” He played all across the continent, but never stayed too long away from Chicago. Art hosted a folk variety show on WBEZ called the Flea Market, broadcast live from the Old Town School. Then in 1984 he moved the family to a place “50 years behind the times.” Now based in Peru, IL, it wasn't too far from Chicago to get in for a gig. However, another opportunity came along the shores of the Illinois River. The Julia Belle Swain, stern-wheel steamboat based out of Peoria, IL, was making runs up to nearby Starved Rock Lodge. John Hartford was a fixture on the Julia Belle, and through him, Art met Dennis Trone, owner, designer, builder and captain. When the boat moved to the Mississippi, Art followed to do two shows a day on the Julia Belle and her sister ship, the Twilight. In the early 1990's, steps became a bit unsteady. His hands couldn't quite fret they way they used to. After several trips to Mayo Clinic, Art was finally diagnosed with Multiple Sclerosis. Even after he could no longer play, he could frequently be counted on to dip into the his vast reservoir of experience and post on the Mudcat Cafe website. Art and Carol now live in Crystal Lake, IL, close enough for his five grandchildren to come and visit, bring him a cake, and sing him happy birthday. And the Thiemes keep picking. Update: May 29, 2015 - Dad passed away from complications related to Multiple Sclerosis on May 26, 2015 at 8:30 p.m. CST in Crystal Lake, IL. He was surrounded by family as he passed. He is survived by his wife, Carol, son, brother, Richard and five grandchildren, Chloe Moon, Siera Sunshine, Byron Sky, Eviey Star and Daisy Snow. Special thanks to all the fans and friends without whom this would be a very, VERY empty website! We love you!